Curl up on a futon chair or twin chair for comfort. They are just perfect if you are limited on space. Makes a comfortable chair to relax on, to sit on or watch tv, or when using your lap top! Is your room small? A futon chair works well in any small bedroom or a nook in your family room. 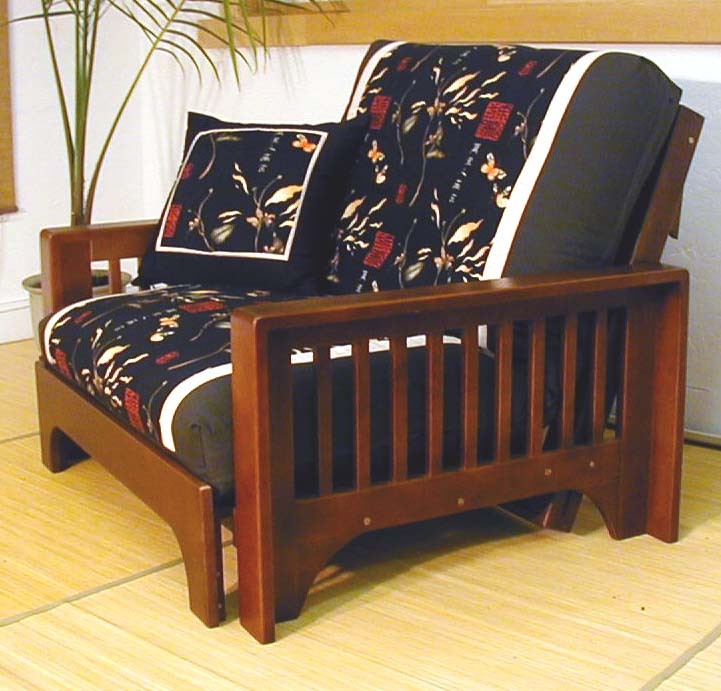 Futon chairs come in a variety of different styles and finishes. 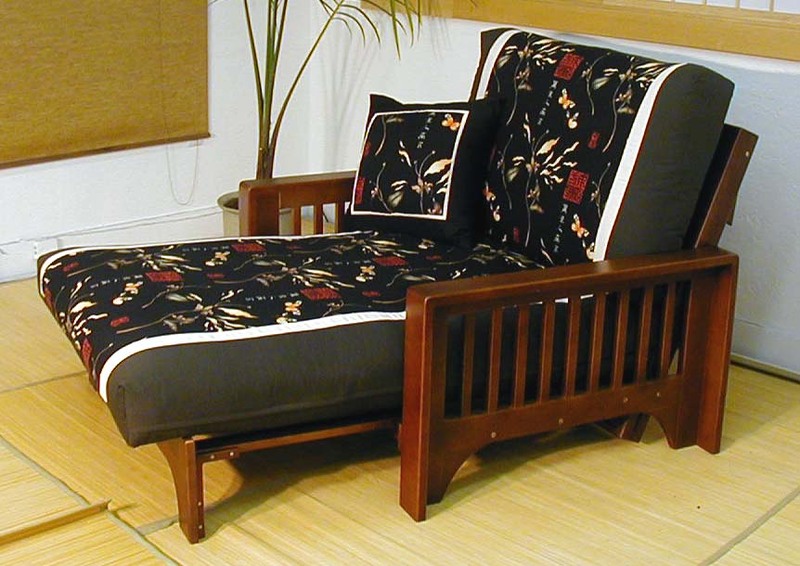 Just like our larger futons, they can open for extra sleeping or be used with an ottoman to make a great lounge chair.